Aleksandar Stanojević (Serbian Cyrillic: Александар Станојевић, pronounced [aleksǎːndar stanǒːjeʋitɕ, alěksaːn-]; born 28 October 1973) is a Serbian professional football manager and former player. He is currently the manager of Beijing Renhe. Stanojević was named the most prospective Serbian coach by the Football Association of Serbia for the year 2010. Stanojević started his playing career in Partizan youth squad. From 1993 until 1997 he spent three seasons in Obilić and one season in Spanish Segunda División playing for Mallorca. In 1997, he joined OFK Beograd for two seasons. He rejoined Partizan in 1999, and was part of the squad that won 2001 national cup. After returning to OFK Beograd for a season, he moved to Hungarian National Championship club Videoton, where in 2003 he ended his professional career at the age of 29. Stanojević began his coaching career as a youth coach at OFK Beograd. His first job as a head coach was in Serbian First League club Srem. For almost two years he was the assistant coach for Miroslav Đukić in Partizan and later Serbia national team. On 3 September 2008, he was appointed the head coach of Serbia national under-19 team that finished 3rd in 2009 European Under-19 Championship in Ukraine. On 15 April 2010, Goran Stevanović resigned from Partizan following a disappointing result in national cup semi-finals. Within 24 hours, Stanojević was promoted as new Partizan head coach, and at the age of just 36 became the youngest manager in the club history. With Stanojević in position, Partizan won all seven remaining league fixtures, including the Eternal derby and defended the title. The team carried good momentum from the league finish into Champions League qualifying phase and managed to go all the way and qualify for the group stage. Stanojević, who was largely credited for this success, thus became the first Serbian coach to lead one Serbian team into the UEFA Champions League group stage. He managed the team through another successful campaign as Partizan won the 2010–11 double. In late May 2011, Stanojević signed new 2-year contract with Partizan. However, start of 2011–12 season brought disappointing results in qualifications for UEFA Champions League and UEFA Europa League, when FK Partizan did not succeed to reach the group stage in either of those competitions. Despite lack of success in international competitions, performance in domestic competition in the first half of the 2011/2012 season was successful, as Partizan ended the half-season on the first place with 10 points ahead of its first rival. During the mid-season break, FK Partizan director of football Mladen Krstajić attacked club president Dragan Đurić over the media, following Đuric's claim that director of football and coach were solely responsible for unsuccessful campaign in UEFA competitions for the 2011–12 season. Krstajić stated that he and Stanojević did not have full control over the sale and acquisition of players during summer transfer window, which affected the results on the field. Stanojević openly said he would resign as head coach if they were to sack Krstajić. Stanojević and Krstajić gained wide support from Partizan fans, who asked Đuric to step down. Partizan's starting XI under Stanojević in their UEFA Champions League group stage match with Arsenal on December 8, 2010. The day before Krstajić was released, Partizan fans Grobari chanted Krstajić's name during a basketball game against arch rivals KK Crvena Zvezda as a sign of support. Krstajić advised Stanojević over the media to stay as the head coach of Partizan, adding his opinion that Stanojević was the best football coach in Serbia. Stanojević postponed his decision until 6 January 2012, when he confirmed he decided to continue his work as the head coach of FK Partizan. Despite this fact, the Board of directors of Partizan dismissed Stanojević on January 13, 2012 and appointed Avram Grant as the new coach. Stanojević was not allowed to hold a press conference the next day at the stadium, but given the popularity he has among the fans, they gathered in front of the stadium to show their support to him and protest against the decision of the club. On January 17, 2012, Stanojević organized a press conference in Belgrade when he spoke in detail about his engagement at Partizan, the way the club was organized and worked during that period and his vision of the club. On April 4, 2012, Stanojević was appointed as the new manager of Chinese Super League side Dalian Aerbin, replacing Chang Woe-Ryong who resigned from the club the day before. He led Dalian Aerbin from the bottom of Super League to reach the fifth place at the end of the season. Stanojević officially announced his resignation on 9 November 2012. On November 28, 2012, Chinese Super League side Beijing Guoan announced that they had officially signed Stanojević for the 2013 league campaign. He led Beijing Guoan to the third place in the Chinese Super League and semi-finals in the FA Cup. Stanojević, also led Beijing Guoan to their first Asian Champions League win over a club from South Korea, a home victory against FC Pohang Steelers in the Asian Champions League and guided the team through the group stage of the Champions League for the second time in the club history. However, his coaching style was questioned by the club and the media of Beijing at the last months of the season, especially after losing to Guangzhou Evergrande in the semi-finals of FA Cup. He was sacked at the end of the season. On April 25, 2014, it was announced that Stanojević was appointed as the new manager of Israeli club Maccabi Haifa. Under Stanojević the team reached semi-final of Toto Cup, after winning first place in group phase of competition. On September 15, 2014 Maccabi Haifa started new season with first game at new Sammy Ofer Stadium in front of more than 27,000 supporters against Bnei Sakhnin F.C.. Stanojević led team to a 4-2 victory in this match. After Maccabi Haifa lost to Beitar Jerusalem with the score 3-1 at home, Stanojević met with club's chairman Ya'akov Shahar, in which they, after Stanojević insist that he want to leave, decided that Stanojević will continue no longer in managing the team. At the moment, Maccabi Haifa was placed fourth in the league, and in the final of the Toto Cup. On January 12, 2015, Stanojević returned to China and signed a three-year contract with China League One side Beijing BG. Under Stanojević, Beijing Enterprises finished in fourth place overall in their debut season in China League One, four points away from promotion to the Chinese Super League. Stanojević saw the team succeed in the Chinese FA Cup, where they reached the semi-final. On the way to semi-final, Beijing Enterprises eliminated three Chinese Super League teams; Shijiazhuang Ever Bright, Beijing Guoan and Guizhou Renhe. The most notable win was against Stanojević's former team, Beijing Guoan. The match was dubbed by various media as "the Capital Derby I,"and it was the first competitive match ever played between two Beijing football clubs at professional level. In 2016, Beijing BG ended up 7th in the China League One. On December 12, 2016, the club released a statement that Stanojević would no longer serve as the team manager. On June 16, 2017, PAOK announced that Stanojević would be the team's new coach. Despite the fact that Stanojević signed a three-year contract, he was relieved of his duties on August 11, 2017, as said from the club mainly due to poor performance in friendlies and issues of squad management and harmony. But that explanation seems to be inadequate because in two competitive matches his team played away draw and won home game against Olimpik Donetsk. That was enough to go through UEFA Europa League third qualifying round. And after he was relieved, PAOK was dumped out in UEFA Europa League play off round by Östersund. On May 24, 2018 Stanojević signed to Saudi Professional League club Al-Qadsiah for one season. His contract was terminated in November 4 as the team won 4 points out of 8 league matches only. On 18 December 2018, Stanojević returned to Beijing and signed with Beijing Renhe. ^ "Blic: Nagrade FSS: Stanojević najperspektivniji trener" (in Serbian). 26 April 2011. Retrieved 6 July 2017. ^ "Stanojević u Partizanu do 2013" (in Serbian). Radio Televizija Vojvodine. 1 June 2011. Retrieved 29 August 2011. ^ ""Grobari" biraju stranu (foto)" (in Serbian). B92.net. 5 January 2012. Retrieved 5 January 2012. ^ "Krstajić pozvao trenere da ostanu" (in Serbian). B92.net. 5 January 2012. Retrieved 5 January 2012. ^ "Stanojević: Da nastavim gde sam stao!" (in Serbian). Mondo.rs. 6 January 2012. Retrieved 6 January 2012. ^ "Stanojevic – Obracanje navijacima ispred stadiona Partizana 14.01.2012" (in Serbian). Youtube. 14 January 2012. Retrieved 14 January 2012. ^ "Aleksandar Stanojević: Aktuelna dešavanja u FK Partizan 17.01.2012" (in Serbian). MC Web televizija. 17 January 2012. Retrieved 17 January 2012. ^ 阿尔滨官方宣布新主帅 塞尔维亚欧冠名帅接手 (in Chinese). QQ.com. 4 April 2012. Retrieved 5 April 2012. ^ "北控官宣斯塔诺下课 前永昌主帅亚森正式上任". Tencent Sports. 30 December 2016. Retrieved 30 December 2016. ^ "PAOK FC coach". PAOK FC Official Site. 16 June 2017. Retrieved 16 June 2017. ^ "Επίσημο: Νέος προπονητής του ΠΑΟΚ ο Λουτσέσκου". Retrieved 12 August 2017. ^ "القادسية يقدم ستانوجيفتيش لوسائل الإعلام". Al-Qadsiah FC (in Arabic). 30 May 2018. ^ "القادسية يستغني عن الكسندر والبيشي بديل مؤقت". 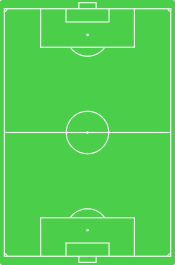 Al-Qadsiah FC (in Arabic). 4 November 2018. ^ "人和官方宣布斯塔诺成新帅 第三次执教北京球队". Sina Sports (in Chinese). 18 December 2018. Retrieved 18 December 2018.